Get fiesta-ready from head to toe with all-out discounts on your favorite global brands. Grab your friends and find these great deals only at The Outlets! It’s time once again for one of the country’s biggest fêtes and The Outlets at Pueblo Verde, the Philippines’ first outlet shopping mall outside Luzon, has something for everyone looking to get the most out of the high-spirited season. Celebrating the very first fiesta that happens in the Philippines every year, The Outlets at Pueblo Verde’s Festival 2019 selections include wardrobe staples and statement pieces in exuberant ensembles that are easy enough for anyone to wear while dancing to the beat of the street parades or crowd-surfing to the front of a huge party audience. Party-hop in effortlessly stylish pieces from your favorite global brands. Embrace the energy of Cebu’s dance-and-music-filled atmosphere with eye-catching picks that are comfortable, youthful, and manage to channel the island’s unique laidback-cosmopolitan vibe all at the same time. Go all out on wardrobe basics that naturally go well with colorful finds. Take your pick from international labels such as Levi’s, Giordano, and Timberland. Year-round, The Outlets at Pueblo Verde offers selections from global fashion brands such as Nike, Adidas, Puma, Levi’s, Charles & Keith*, and Vero Moda* at jaw-dropping discounts of up to 75%! Now that the country’s biggest and most colorful festivals are just around the corner once again, and given that Cebu is the ideal jump-off point for reaching islands in VisMin, there’s no better place to grab your festival wear than at The Outlets at Pueblo Verde. 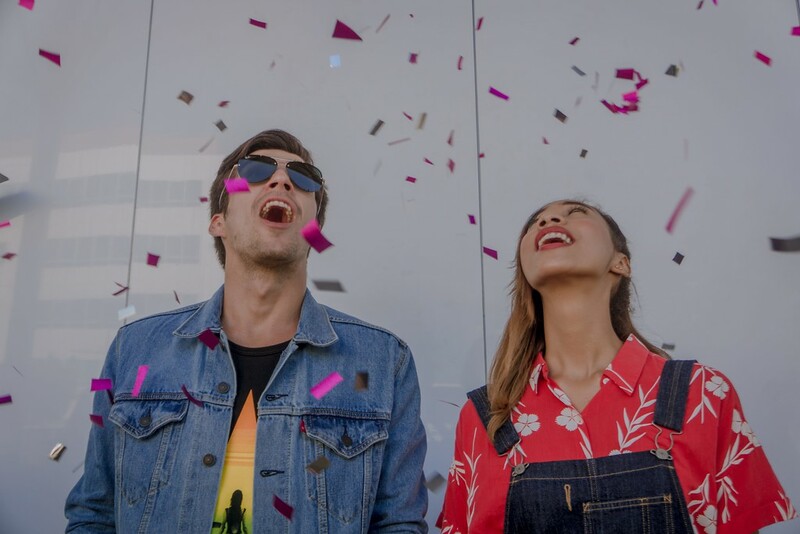 From versatile denim jackets to flowery shirts – there’s something timelessly fiesta-cool for every festival enthusiast in The Outlets’ new collection. Seize every fun-filled street party moment in style. Shop irresistibly great finds at great deals 365 days a year at The Outlets at Pueblo Verde, located along M. Patalinghug Jr. Avenue, MEZ II, Lapu-Lapu City, Cebu. *Charles & Keith and Vero Moda are available in Bench Depot.